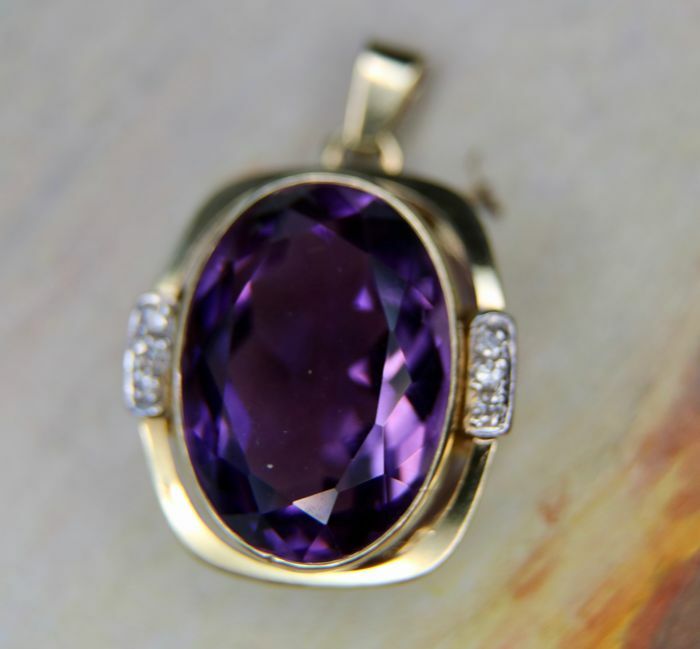 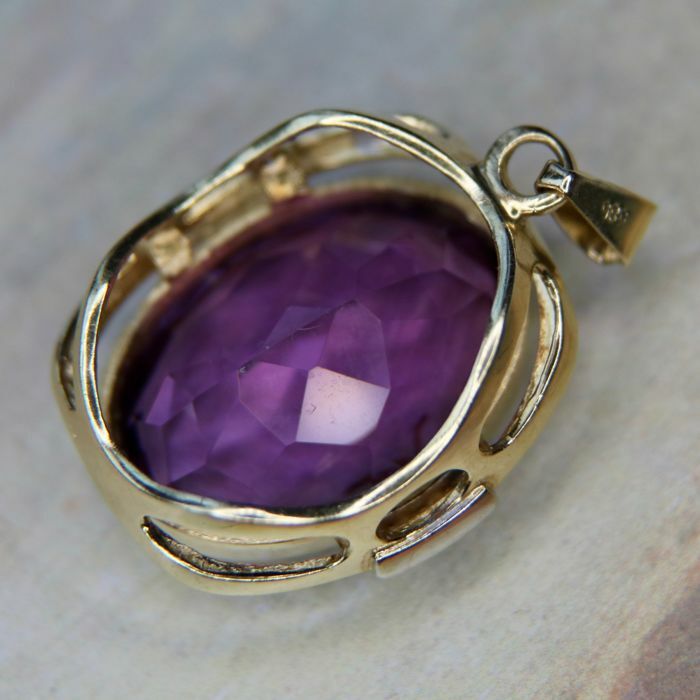 Classic handcrafted Yellow gold pendant with an oval faceted beautiful color Amethyst approx. 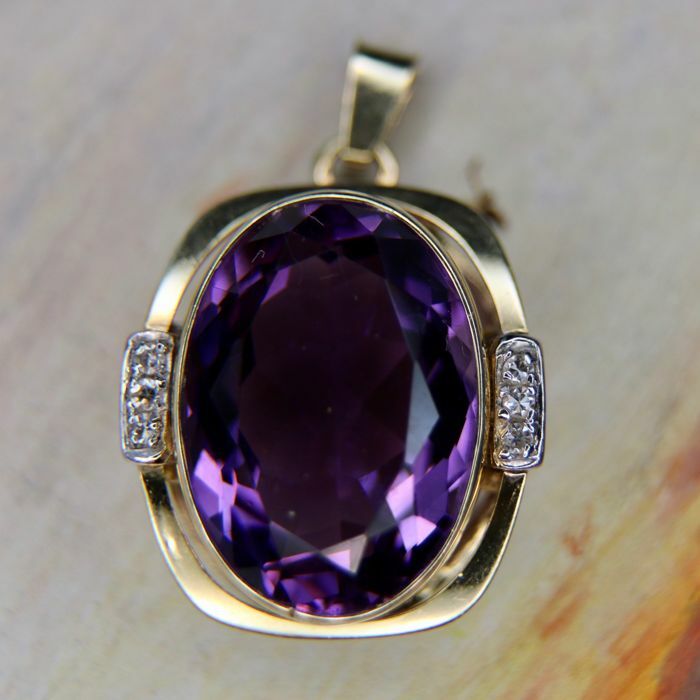 7.56 Ct enchanted by small old cut diamonds on both sides. 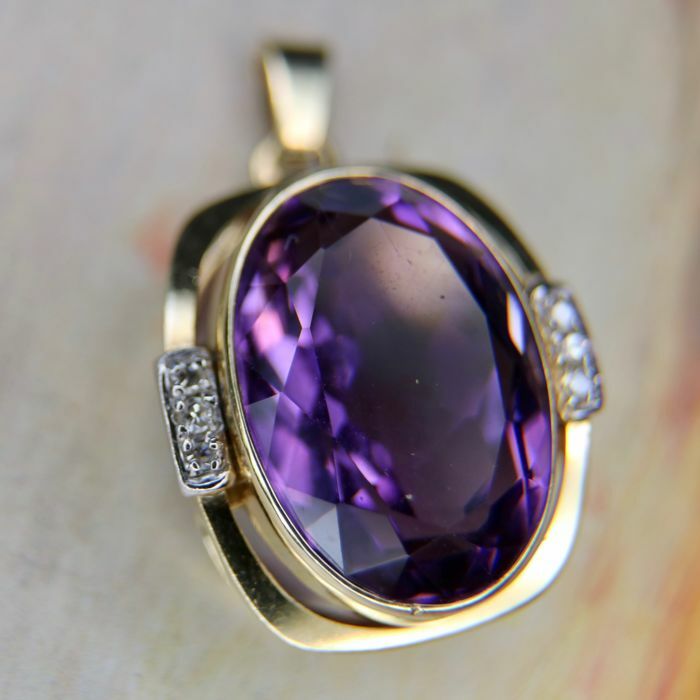 Amethyst is wonderful and bright with good colour and quality in very good state, no crass on gemstone. 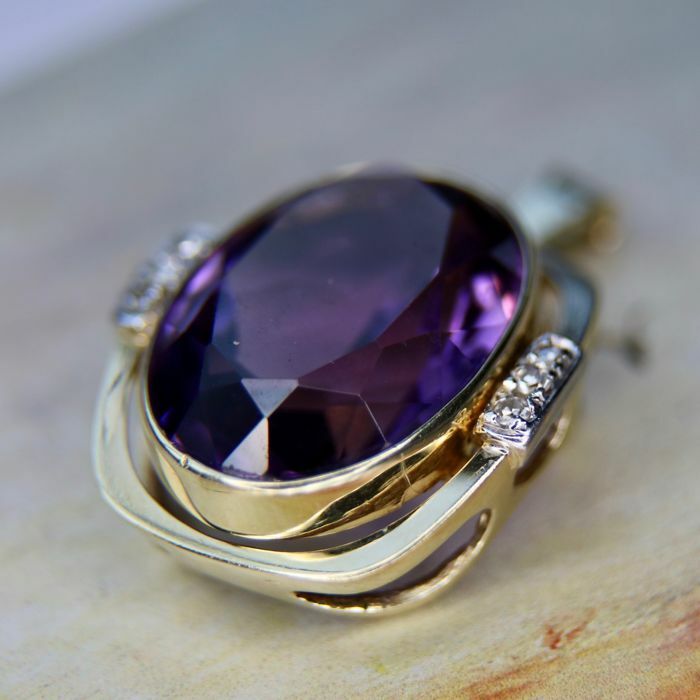 We offered a matching ring in our shop, if you buy more lots from the same auction you must pay the shipments costs only once. 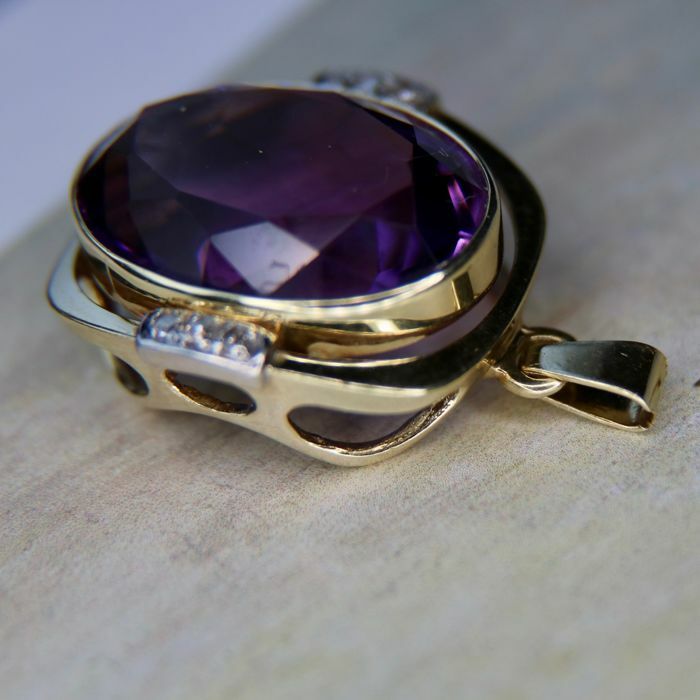 Sent in very good packaging and international shipping with declared value and proof of declaration.